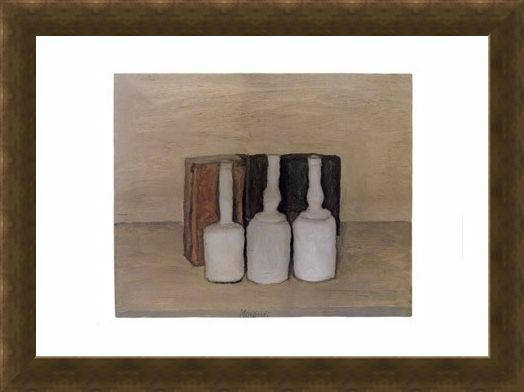 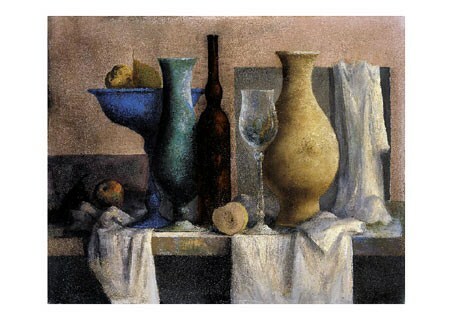 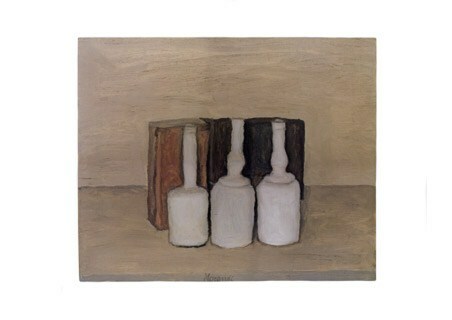 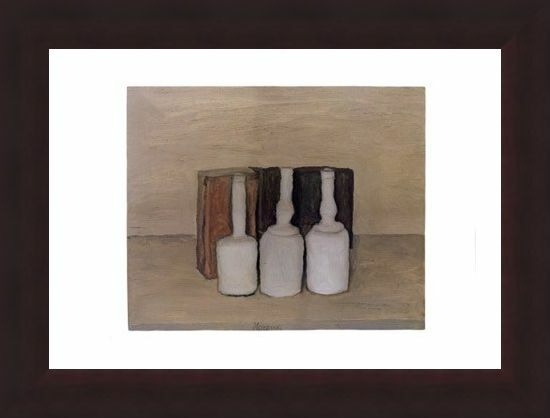 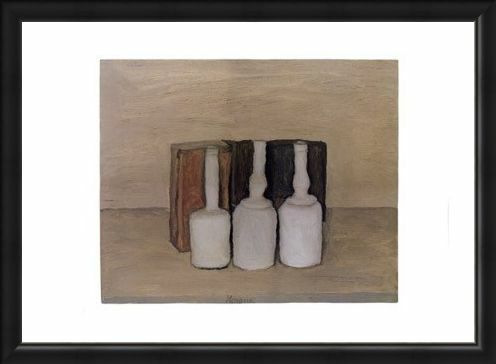 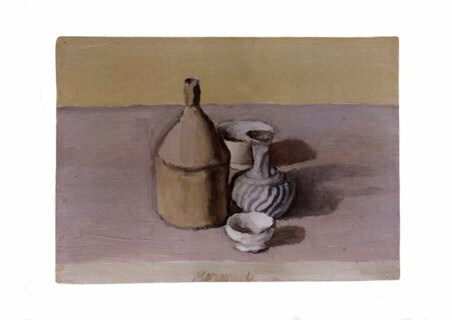 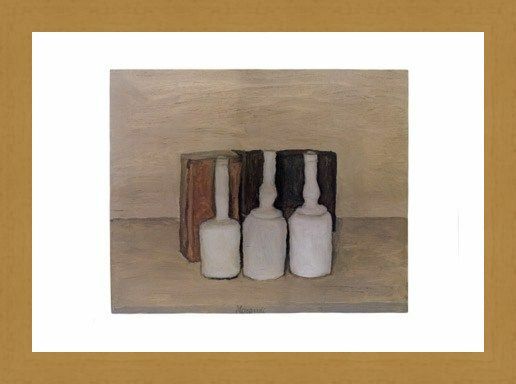 Mini Art Print: Born in 1890, Italian still life artist Giorgio Morandi was famous for his exceptional sensitivity to the colour and tone of paintings as well as the compositional balance. 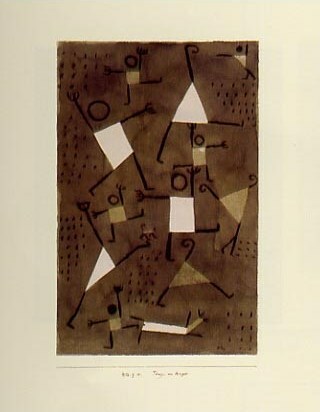 He is famous for saying 'Nothing is more abstract than reality' and this thought came across in his art work as well as his beautiful portrayals of the minimalist movement. 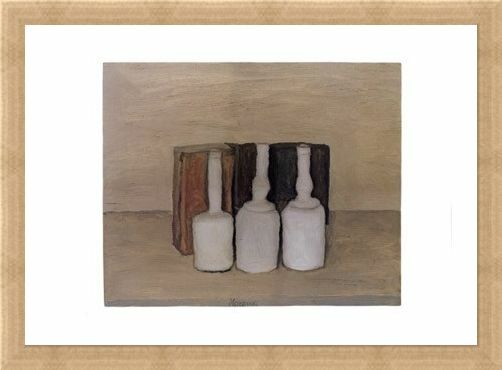 This print shows a study of three disproportionate bottles aligned against a dark background and it really proves his use of repetitive motifs and economic colours. 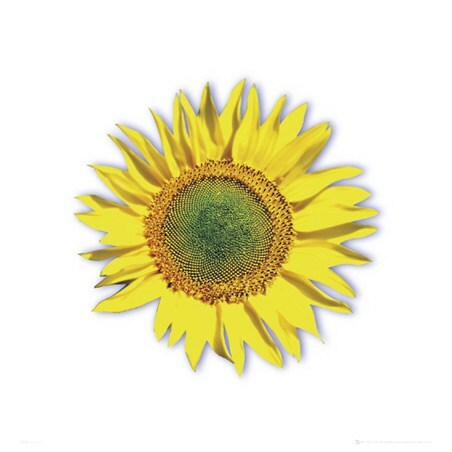 A print which will look lovely in your home and bring a sense of individuality with it's classic design and simple beauty. High quality, framed Three Bottles, Giorgio Morandi mini poster with a bespoke frame by our custom framing service.